Sorting through relentless food marketing and trendy eating has become increasingly difficult in our lifetime. As obesity, fatigue, and diet-related diseases continue to be out of control, the whole food nutrition movement is luckily also gaining momentum. While studying to become a Registered Holistic Nutritionist at The Canadian School of Natural Nutrition I learned about the catastrophic effects of processed, refined foods, which are packed with pro-inflammatory and anti-nutrient ingredients that take more from the body than they give. I once struggled with the same sugary carb dependency that many others experience and by overcoming the daily energy crashes I feel compelled to share what I’ve learned. 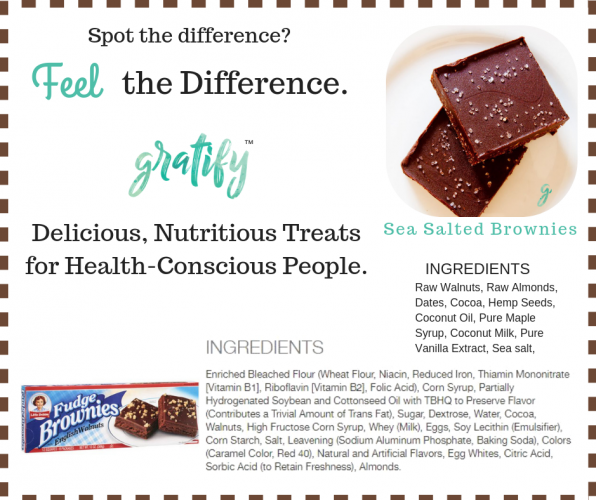 Simply put, Gratify allows health-conscious people to eat delicious and nutritious treats. 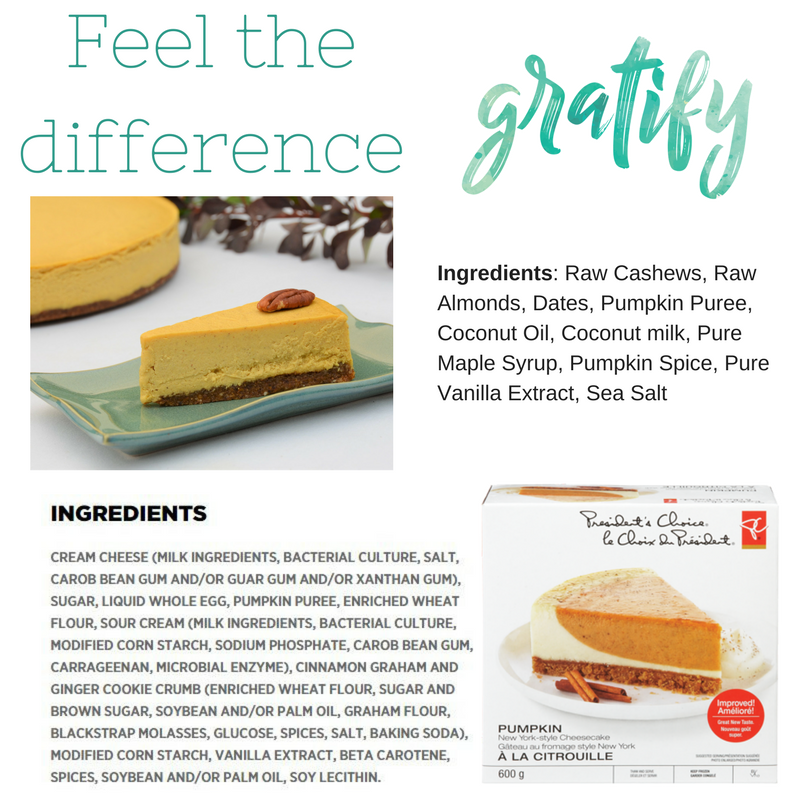 I have a strong passion for crafting satisfying desserts and snacks that are chock-full of plant based protein, healthy fats, fiber, antioxidants, vitamins, and minerals. This balance is a tried and true formula for sustainable energy, versus the hazardous sugar spike of conventional desserts. If you kept reading after seeing the words “fiber” and “antioxidants”, I think we’re going to be friends. Check out Gratify’s yummy treats here, enter to win Gratify products with monthly draws here, or skip right to the order page.